Planningpixies.com - Just topped 7,000+ views! just made it over the 7.000 Page View Mark!!! Thank you, folks, for reading! We can't wait to get into our new home so that we can focus on growing and improving the blog!! Remember to register with ErinCondren.com for a $!0 off!! With the Erin Condren 2016 Life Planner Launch underway (just as of yesterday - click HERE to register with them and get a $10 coupon to use on your order! ), we have gotten a lot of great questions, from new users as well as regulars, as to what are the must-have extras, what are really the essentials and do we recommend any Etsy shops... So here is our feedback (purely our opinions from our experiences). Hope it's useful in your journey to incorporate all the JOY and organizational bliss into your Erin Condren Life Planners! 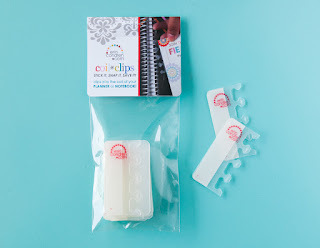 Extras: These are items on Erin Condren's site that we feel are must-haves! 1. Erin Condren Coil Clips: Package of 12 for $7.00 . THAT is a good deal! They are great quality, and while yes, you can make them yourself, we haven't made any or found any homemade ones that are as good a quality as hers. They are worth the investment! 2. 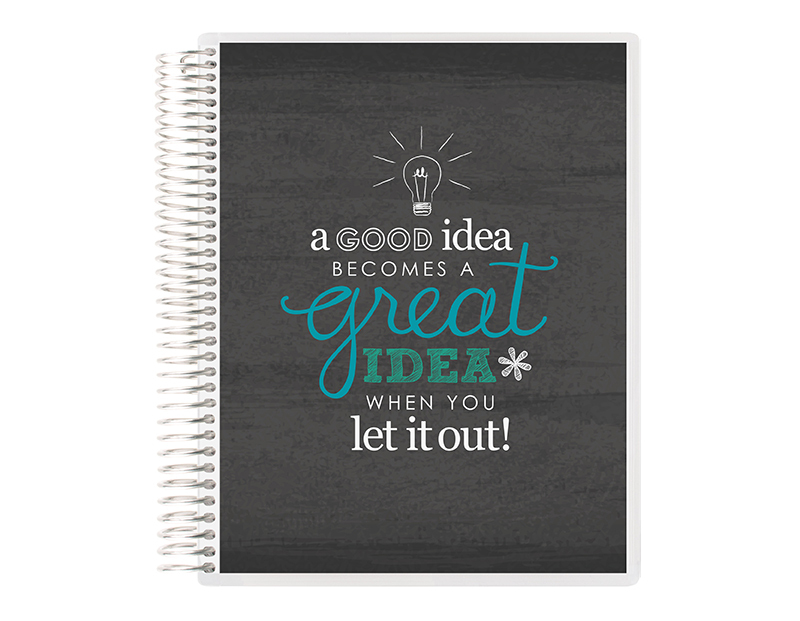 Erin Condren Personalized Notebook: Yes...this is a pricey item, we think (and, depending on how much you add to it, it can become increasingly costly). HOWEVER, there is nothing we use more than our EC Life Planners besides our Personalized Notebooks! A personalized notebook starts at $35 and is the size of the ECLP (7x9). For $5.00 more, you can get it in the Teacher Planner size (8.5x11). You can add on things like a calendar, dividers... That adds to the price. However, watch Erin's videos - do your research... This may be the ultimate add-on for you! Make it as simple or as deluxe as you want. These personalized notebooks are great for archiving your memories, your studies, your work notes... Something like, "A Day In the Life", a personal journal, a travel diary... the uses are ENDLESS here...but the space isn't...Really use it for something special since it's not anywhere near as inexpensive as a case of spiral notebooks (which we use, too, for all kinds of random things). We use our Personalized Notebooks as journals, for dream, gratitude, prayer lists and really - so much more! I think 3 of these a year is an average for us (buying 3 of these throughout the year). 3. Erin Condren Photo Stickers: 30 Stickers with ANYONE's happy face you choose for $5.00! Sure, you can make this at home, but think of all the formatting... Sure, once you get your template laid out, it's fine...but it's the getting there - getting it perfect part, that makes purchasing these from Erin Condren SO VERY worth it!! Put these on your list to order about 3 or 4 times a year so you can update pictures! Their template is easy to use, and it's so awesome to have stickers ready to go for someone's birthday, a date night, a kiddo's special day, special holidays like Mother's Day, etc.! They are awesome and very worth the investment when you take into consideration how much time the set up on your end will take to do it yourself! 4. Erin Condren Compliment Cards: Now...these aren't necessarily a planner EXTRA, but more a LIFE extra! You get 10 Compliment Cards for $5.00. And to just have them on hand where, when you feel so inclined, you can share one...awesome...the world needs more joy, and this an easy, random (and unexpected) way to share it! Sure - you can make your own, have a thousand printed... So there are options here...but these are must-haves in our stationary collection, and Erin Condren's are our favorites! 1. Stickers: Stickers are a great way to plan and organize things within your Life Planner as you put it to use. They are always great, too, to add motivational quotes, fun stuff... Decorative design or utilitarian functionality, stickers are an incredibly versatile tool! You can find great stickers everywhere, literally! Just make a list of things that you might want to be represented by a sticker in your planner, keep a running list and be on the lookout . The Dollar Tree, Michael's, Hobby Lobby and Etsy shops are all fabulous locations for finding functional stickers to further personalize your planner (even Wal-Mart, Target, TJ Maxx, etc). Use your imagination, look at what others use and develop your own list. For example... There are a lot of Etsy shops that sell stickers to mark laundry days. They're adorable, and a common item in a lot of planner layouts we see (and we have several washing machine stickers from Etsy shops). But, for us, we have found some darling Sticko brand stickers - silly socks stickers - and that's what we're currently using to represent laundry days in our planners. Take a look at this layout below. Sock = Laundry day! Michael's and Hobby Lobby both have a good collection of Sticko brand stickers, and they often run them 50% or 40% off, so wait for those sales! Also, the little bumble bee/ladybug/dragon fly stickers indicate when I work at each of my jobs. Those are from a collection of stickers I found at Michael's (go the packs for 50% 0ff - just don't buy stickers at full price...ever...lol...they WILL GO ON SALE!) They may not mean anything to anyone else, but that's how I use them in my planner. They could indicate different classes if you're a student, different children if you're a mom or dad planning your kids' activities. Different committees if you're a volunteer... Anything... Just use your imagination and create what works for you! 2. Washi Tape: Washi tape is a paper tape that allows you to re-position it if need be. I am the worst at getting my washi to lay out straight the first go-round, lol, so that's a great feature of washi tape. 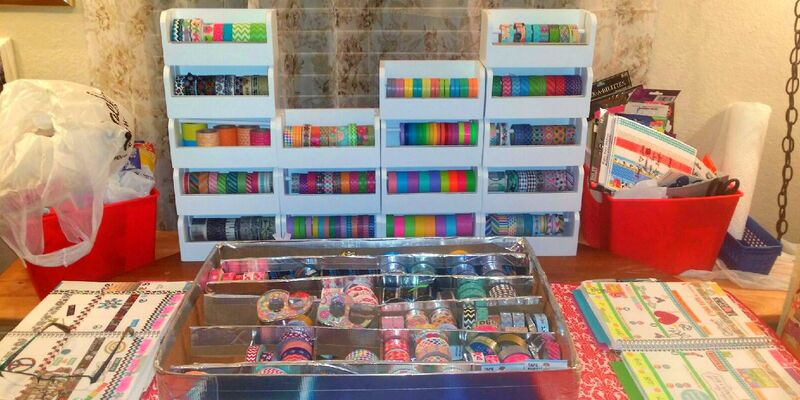 There are ALL kinds of washi tapes out there. Dollar Tree is a fabulous resource. Michael's has a great selection, but they're on the pricey end, we think. Hobby Lobby and Jo Ann both have a limited selection (though Jo Ann on line has a great selection). 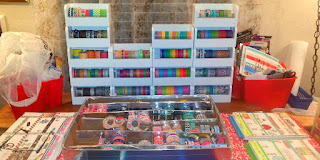 Etsy shops sell washi, Office Depot/Office Max sells washi tape... It's everywhere... Even Amazon offers some great options. In the photo above, notice the washi that covers the morning/day/night sections. That really narrow washi came from Amazon. It was a 10-pack of different colors for about $3.95 (ships from overseas, so it takes a little while to get here, but it's worth the wait). The gingham washi and the pasley washi across the bottom row came from Dollar Tree. The hot pink glitter washi up the left is from Michael's. 3. 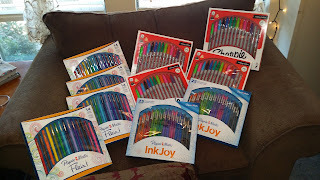 Pens & Pencils: Everyone has pens they LOVE to use for writing. Regina prefers a pencil, in fact, when writing lists. Have a good selection of the types of pens/pencils you like to use. Be careful with Sharpies. They'll bleed through (even the extra fine points) if you write directly on the pages. However, using them to write on washi tape is perfect- no issues. We really like the Papermate Flairs and Pilot G2's. We also use Papermate Inkjoys, LePen's and so many others. Colored pencils are a great thing to have on hand, too, and you can find perfectly fine, inexpensive ones at Big Lots, Wal-Mart, etc. Shop for your pens and pencils, too, because they will always be on sale somewhere! Etsy Shops: These are the Etsy shops that we LOVE! 1. OneOrangeSnowflake: OneOrangeSnowflake was the first shop we purchased planner stickers from when we began this journey. The quality is outstanding, the prices are GOOD and the functionality of her stickers is perfect for a lot of our needs. We LOVE the checklists and the "plan" stickers. 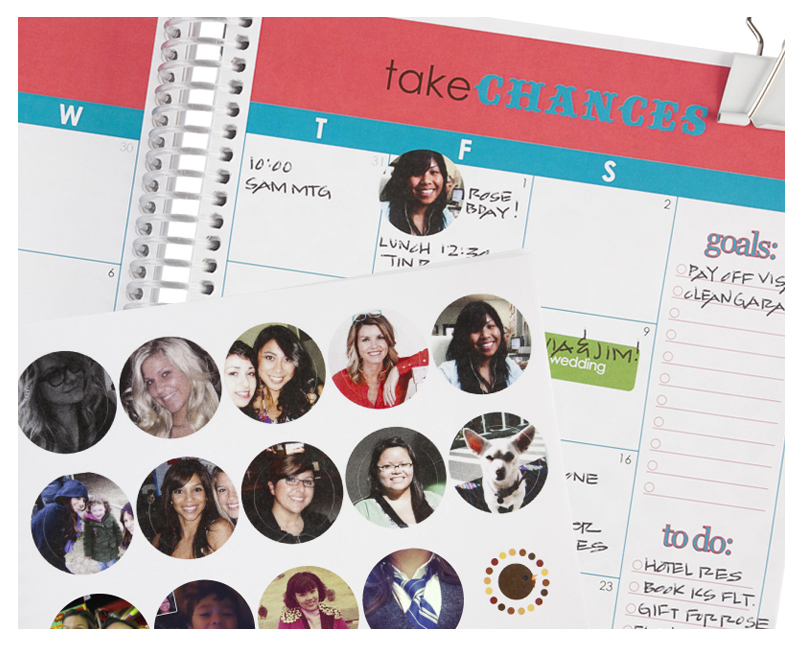 There are SO MANY we love, but this is a great shop for fun, functional planner stickers! 2. LillieHenry: LillieHenry's stickers are adorable and functional, but they are really pricey, we think. That doesn't stop us from ordering from her shop. It just really limits what we'll order. Her stickers are good quality and fun! If they weren't so pricey, we would certainly incorporate more into our planners. But we love what we use, and we use them regularly! 3. PinkGlitteredCoffee: PinkGlitteredCoffee has great prices and fun, functional stickers that we love. Her shop isn't as big as the previous two, but her assortment is fun and varied and accommodates a lot of different activities! 4. TheSassyPlanner: TheSassyPlanner came to us after a search for a particular sticker that another Etsy store offers but is always out of (similar stickers, as they're all custom made). We found many wonderful treasures here and reasonable prices! As we mentioned, these are just our favorites! We have friends who run Etsy shops, and, to be fair, we haven't mentioned them here. Always take time to look for what you want, and you will find it in an Etsy shop! This is a long post, but we hope you've found some helpful information here. Your comments are always welcome! Follow us on Facebook in the group, Planning Pixies: Erin Condren Awesomeness! 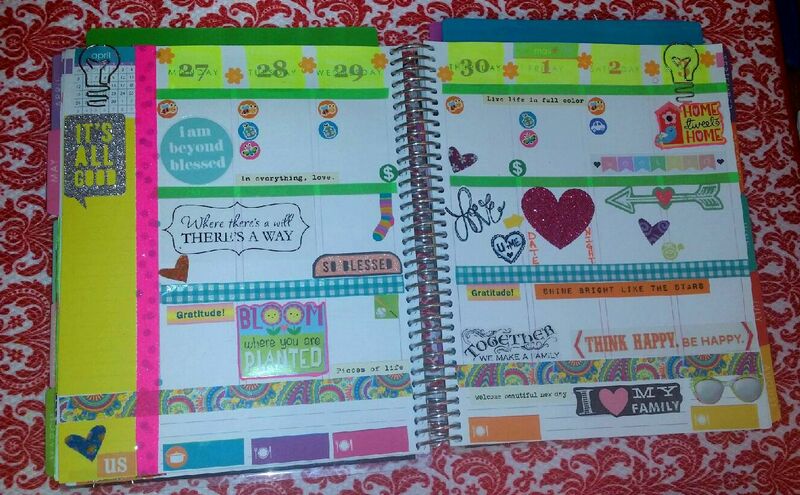 We love our Erin Condren Life Planners, and hope you will, too! Tomorrow is the Day! 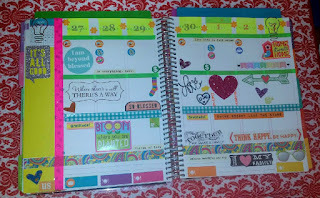 Watch Erin Condren's Video On The Life Planner & Fun New Accessories! Erin Condren's Video on The 2015-2016 Life Planners! It's a great video full of all the information you need! I am really wondering (hoping, I think), that the Rose Gold may have an option for the color gateway, but I'm thinking not... I am a little sad that some of the flourish (like the date and day at the top) are not as pretty in the standard (or vertical layout) this year. Either way, I am MOST excited that the coil is bigger!! That is a GREAT thing for those of us who use our coil clips to snap in memorabilia (like pictures, etc. ), for anyone who adds extra snap-in folders or dashborads, etc. The video is just a great resource! Go sign up now so that your $10.00 is ready for your purchase - SIGN UP HERE! I'll have more info to share later, but I wanted to be sure you all got the news that Erin's video is out there! Remember - sign up and register your email address now by following this LINK for a $10 off coupon!!! And please remember to find our blog post on the Facebook page, Planning Pixies: Erin Condren Awesomeness, dated 5/27/15, so that you can enter our GIVE AWAY!!! There will be THREE LUCKY WINNERS! Will one of them be YOU!!!!??!!!!! Erin Condren 2016 Life Planners Coming June 9th! Enter our GIVE-AWAY!!! 1. JOIN our Facebook group called, "Planning Pixies: Erin Condren Awesomeness!" 2. Once you've joined, look for the "pinned post" - it will be this blog entry. 3. Comment on that post with your HALFWAY PROGRESS on your 2015 goals/plans/hopes/dreams!! There will be THREE (3) LUCKY WINNERS CHOSEN AT RANDOM!!! ENTER TODAY!!! And a yet to be detailed "LAUNCH BUNDLE"! The NEW EC Life Planners will be here June 9th, 2015, so click HERE or on any of the links, to register your email address with Erincondren.com and get your $10.00 discount READY! Use it today or later, either way, it's worth the few seconds to sign up! Then you can keep up with all the great goings-on with Erin Condren products! That will be an exciting day for sure! Today is Amy's birthday, and we're celebrating by having a GIVE-AWAY!!! We have a 3 boxes FULL of goodies, so we're looking for 3 lucky winners!! 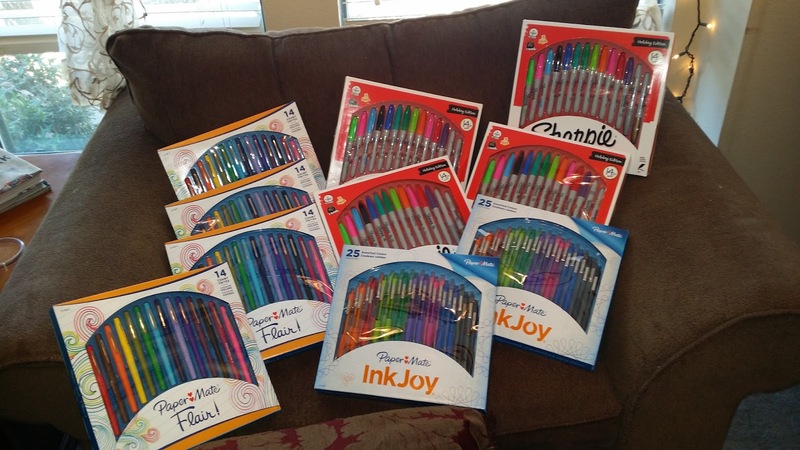 lots of other nifty planner supplies (up to $100 each in value)! and comment on the Facebook group page where you find this post with an update on your 2015 goals/plans/dreams! The contest closes midnight on Friday, June 12, 2015. The 3 winners will be selected at random using a lottery draw process. Winners will be notified via private message, and we will post their names on this post on our Facebook page on Saturday, June 13, 2015. Hope wherever you are, you're experiencing JOY all around you (even in the midst of a storm)! EC's Take on Jazzing Up the ECLP! to get your $10.00 off and be ready to place your order! We hope your week is off to a good start! Exciting times on our end! Some answered prayers today, thank you, Lord! (and we thank you just the same, Lord, for those)! We are thankful for YOU, each one of you! Form of an organizational guru! Form of a planner extraordinaire!